The Congress on Saturday stepped up an attack on the Bharatiya Janata Party over party leader Sushma Swaraj washing her hands of the induction of Bellary brothers as ministers in the state government. "Swaraj's assertions once again underscore the fundamental reality of the BJP that money talks and Yeddyurappa and Reddy walk. While Karnataka burns with corruption, the Neros of BJP fiddle in Delhi. It does not require any imagination to find out from where the fiddle came. It definitely came from Bangalore," said Congress spokesperson Manish Tewari. He was replying to questions about the controversy in BJP over Swaraj's remarks. Swaraj had alleged that the decision to give Cabinet berths to Janardhan and Karunakar Reddy was taken by senior BJP leader Arun Jaitley (in his capacity as Karnataka party in-charge), and senior leaders M Venkaiah Naidu and Ananth Kumar. She maintained that she had not acted as the protector of the Reddy brothers and had "no role in the political making" of the mining barons. She emphasised that she was opposed to three members of a family finding berths in the Cabinet. 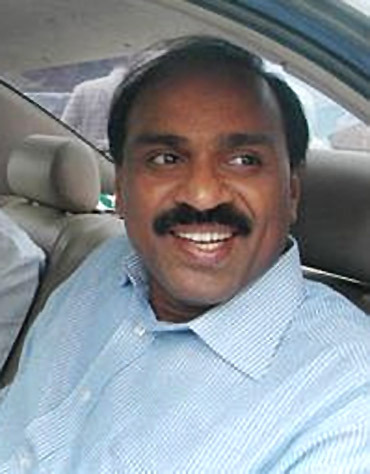 The third Reddy brother Somashekhar has a ministerial status. 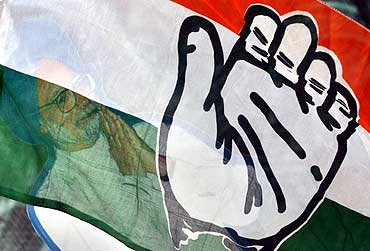 But the Congress spokesperson dismissed the defence, saying, "The question is not who opposed Yeddyurappa and Reddy. The question is why they were appointed at all." Tewari said, "The BJP must answer to the nation as to why the infrastructure of corruption has been institutionalised in Karnataka and why does the party dance to the tunes of Yeddyurappa and Reddy?" He also took a dig at senior BJP leader L K Advani when asked whether the political compulsions of the BJP in appointing Bellary brothers were related to the Opposition party's bid to come to power at the Centre. "There was a prime minister-in-waiting in BJP, who is continuing in the waiting list since 2004 and the waiting list may get longer by 2014. The BJP is not understanding the simple fact that the train of power is now not going to halt at its station," he said. Taking potshots at the main opposition party for its "poor show" in the recently concluded assembly elections, he said, "A party, which gets only five seats out of 765 it contested, should think whether it is really the opposition party or only a symbolic opposition, and whether it is truly a national party or merely a regional one." 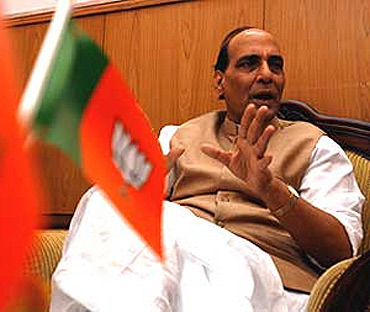 In an apparent bid to play down the controversy over Swaraj's remarks, former BJP chief Rajnath Singh said all decisions related to Karnataka, including the appointment of Arun Jaitley as the in-charge of the state, had his consent. 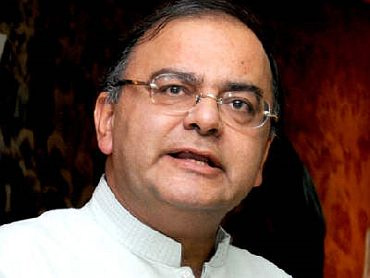 "Reports of a rift between Sushma Swaraj and Arun Jaitley are baseless. This is true that Arun was in-charge of Karnataka. I had sent him there as I was president (of BJP) and there were chances of a controversy during Cabinet formation," Singh said. He also accepted that in 2009, when the Reddy brothers revolted against Chief Minister B S Yeddyurappa, he had urged Swaraj to talk to the mining barons to end the crisis. Swaraj had claimed in an interview to a weekly that she was asked to talk to the Reddy brothers and convince them to give up their demand for Yeddyurappa's removal. Singh also said he had made Jaitley the party's Karnataka in-charge and all decisions taken by the central leadership at that time had his consent. Singh said Swaraj and Jaitley had consulted among themselves during the 2009 crisis and he too had agreed to the decisions taken. "If responsibility is to be fixed then it should be fixed on me as I was the president. There were some political compulsions due to which some decisions had to be taken (during Cabinet formation). It was going to be our first government in the South with the BJP having a clear majority. We wanted to form a Karnataka-friendly government," he said. BJP chief spokesperson Ravi Shankar Prasad maintained that Swaraj has also stated in the interview that she agrees with Jaitley on most issues and hence there were no differences. "You read the interview carefully. 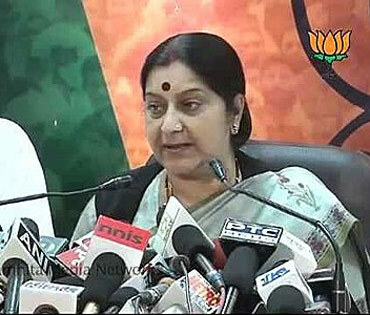 She has also said that she has good relations with Arun Jaitley. We are in agreement on 95 to 99 per cent issues," Prasad said.